For the times when you can’t blog anything, but you don’t want to blog nothing | Guten Morgen Berlin! 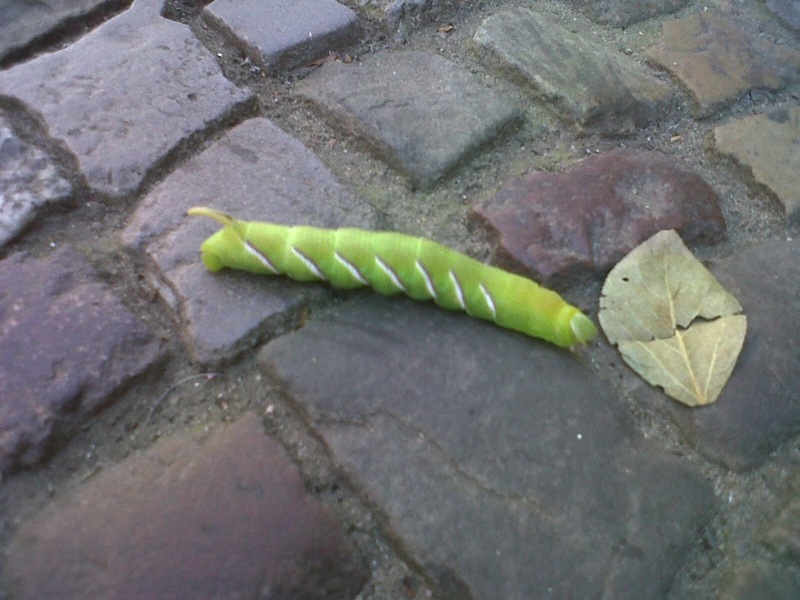 October 15, 2013 January 11, 2015 - Guten Morgen Berlin! What do you do when the one thing you want to blog about is the one thing you definitely shouldn’t blog about? When the one thing that is always on your mind and consuming your thoughts is far too dangerous to spill all about on the big, gusty internet? Well, I guess you just write a strange patchwork of unrelated ideas and flotsam and jetsam instead. Why did this poster happen? 1. Women at the gym. Don’t be lulled into thinking your leggings aren’t translucent. They are. And really, wearing a thong to the gym? So many of you? Are you serious? Surely it is hell enough without deliberately doing your whole workout with a deliberate and incurable wedgie? 2. 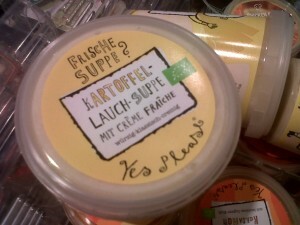 German product names. Seriously, look at this photo. Look at this product. 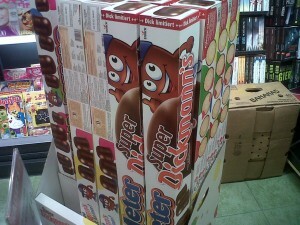 It is a metre of Super Dickmann’s. Come on, The German Language, you’re making a fool of yourself. 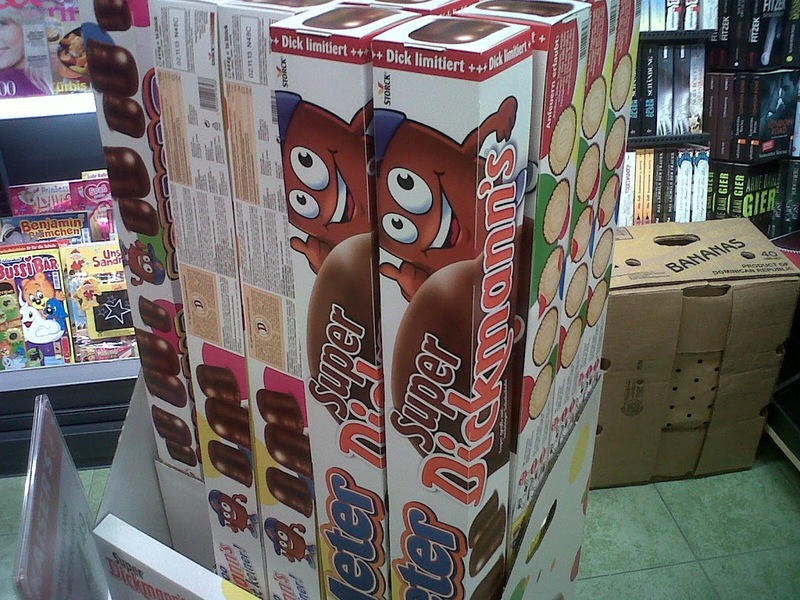 People mock Chinese or Korean product names – hell, my parents brought me back a packet of ‘Strange Flavour Beans’ from their trip to Beijing – but German product names are equally off-the-beam. There is a gym chain called ‘Lady Company’: “Stan, what shall we call our women-only gym?” “Well, English is a cool language, and we are a company for ladies…BOOM.” There is a chain of bakeries called ‘Back Factory’, because evidently no-one in the marketing department paused to think whether it might not be a tiny bit hilarious to make your bakeries sound like an established manufacturer of lumbars. LIDL’s crisps brand is called ‘Crusti Croc’, evidently trying to evoke the delicious crunchiness of a crocodile with a dermatitis problem. A discount shop: “MacGeiz”, literally “McTightwad”. A ‘trendy’ clothes shop chain – and this is perhaps the best one – called ‘Mr Lady’. Yes please?! No, thank YOU. 3. Soup is probably the greatest of all human inventions. A bowl of terrific soup makes you feel as luxuriated and cozy as settling down into a warm nest of kittens. But leek and potato soup can go to hell. It is a travesty. Leeks are subtle, mild and smooth in flavour, delicate, sweet and the palest fresh green. To pulp them into a bland starchy pus-coloured sludge with a shovelful of salt (because that is the only thing that will make the damn stuff taste like anything) is cruelty. And when soup is such a terrific way to puree seventeen of your five veg a day into a single delicious dinnertime, why forego that opportunity to have a bowl of liquid potato? And would you like some crusty bread on the side? Well you CAN’T, because your soup is already your carb for that meal. Go away, leek and potato, you are not wanted here. And get out of my new country. That’s my wallet, not a VHS cassette tape. 4. I made a duvet cover. 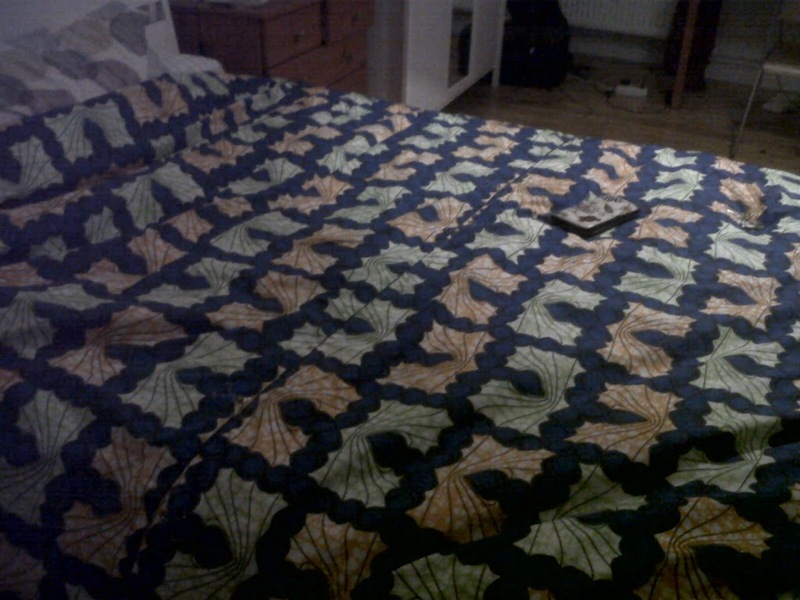 Because IKEA, as it turns out, are cunning, and made me a duvet in a size which only they provide covers for. Unwilling to kowtow to such devious behaviour, I went to the Neukölln cloth market and allowed some overenthusiastic Turkish grandpa to persuade me to buy this insane batik cotton which looks like it’s decorated with a Smurf’s small intestine. But the duvet cover had to be 220×240 centimetres, which is approximately nineteen times the size of myself, so making the thing had me wrestling vast swathes of fabric about for hours like I was fighting an anaconda. 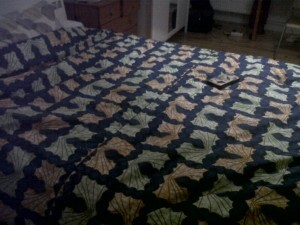 The positive end to the story is that I now own the world’s first duvet cover which is visible from space. Nice stripes, dude, American Apparel? had other ideas. Ahhh, nature. 6. I do desperately want to write about real things. But real things have a habit of affecting other real people, and I’m blowed if I’m going to cause a real mess by making a Google-able arse of myself. So I hope you will excuse these few not-so-gentle musings, and I hope to return to you very soon with a more substantial offering. Gruß Gott.